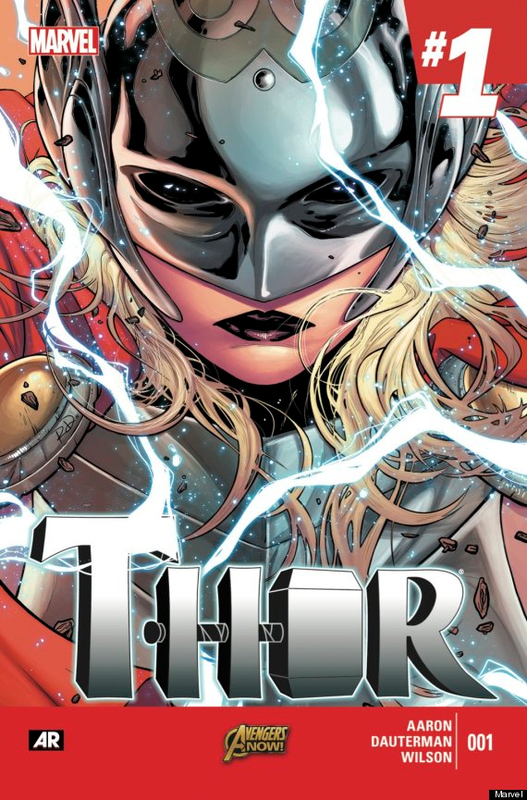 Marvel recently released some pages of the first every issue of Thor as a woman. 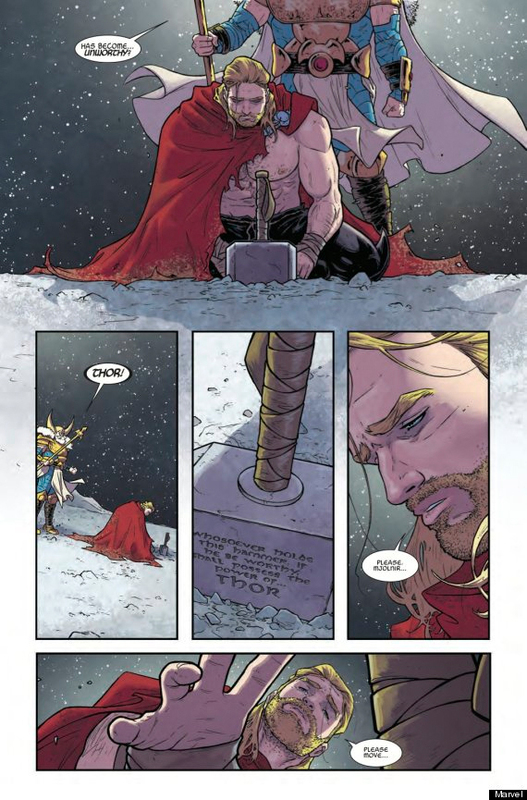 We see ‘Man’ Thor released from his once glorious title, and understandably, he’s still coming to terms with things. This to me is by far the most ballsy thing Marvel has done in a very long while, and can’t wait for the sort of dynamics in the narrative when it gets published. Marvel has also been adamant that this change is not in a line of ‘Lady’ off-spring heroes of their male counterparts, but she is Thor. We here at T.A.P. welcome the change. 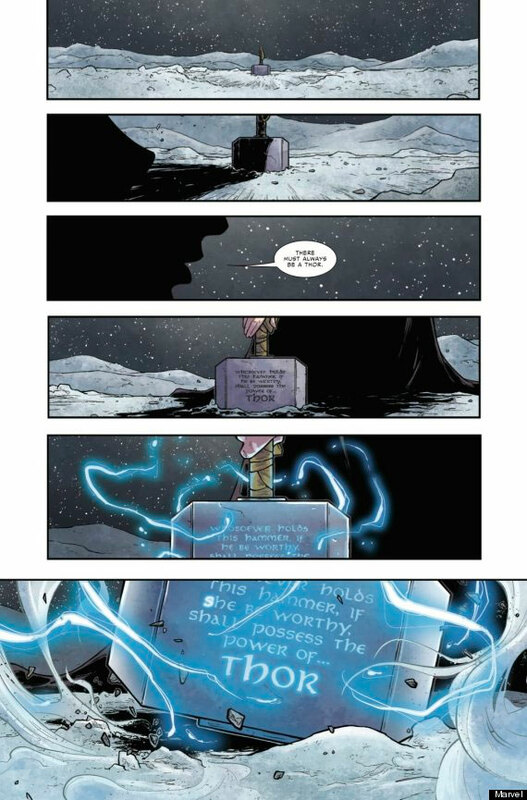 Check out the some of the panels below, with page 27 obviously setting up for what must be a very sweet splash page of Thor, Goddess of Thunder!